Monty is a struggling, unknown artist, living in a loft in Soho. From his third floor walk up, he watches his beautiful neighbor as she comes and goes. Too shy and reclusive to ask her out, he paints her again and again. Suddenly the police are at his door. His goddess, his dream woman, is dead, and the police like him for the crime. Detective Roarke sifts through the forensics, motives, and physical evidence, and at first glance it seems that all the evidence points to the strange artist who is obsessed with the beautiful actress. But, as time passes, several other suspects come to the attention of Detective Roarke and the case is now not so open-and-shut. As the detective immerses himself in her life, it turns out that she has more than one secret. Where does The Art of Murder rank among all the audiobooks you’ve listened to so far? The vocal performance of this narrator was outstanding. With inflections and volume contrast throughout it immediately caught my attention and held it. What was one of the most memorable moments of The Art of Murder? The audible differences in each characters dialogue. What does Daniel Dorse bring to the story that you wouldn’t experience if you just read the book? Dorse definitely provided character I wouldn't be able to easily embace through reading it. *I won this audio book through a giveaway the author hosted without any obligation to write a positive review. New to audio books I hesitated listening to The Art of Murder but am glad I finally did take the plunge. With such limited time available to read, listening to a book in entirety over just a few hours is refreshing and makes it easy to stay connected. The Art of Murder, One Act Play (Shortn’Small series of One Act Plays) is very plot driven but I still grew fond of Monty and the victim who dies an unfortunate death very early in the story. Chapter One and the introduction of many characters caught me interest and had me listening closely, trying to solve the “whodunit” mystery. Through twists and turns, awkward moments that felt real and clues left hidden in plain view, Sugarek’s audio book intrigued me. What I also enjoyed was the narrator who changed his inflection and clear vocals as he took me on a journey. I will definitely put this author on my to-read list as I feel I might have a different appreciation for the writing with taking it slow and reading the story. Not really because the narrator is just awful. His voice just drones on in monotone and very slowly. This was one the worst narrator I have ever heard and I have listened to many books . 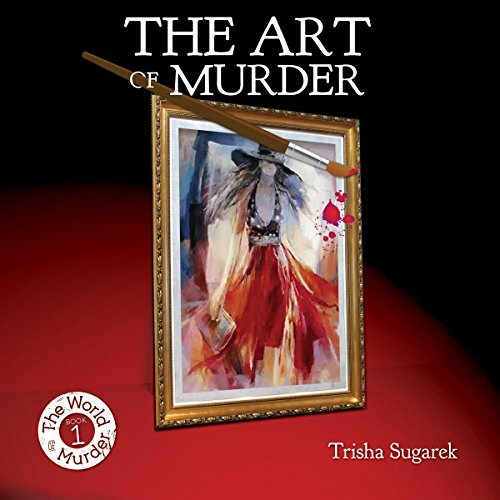 Would you recommend The Art of Murder to your friends? Why or why not? Yes with a new narrator. He sounds as if he is bored and is just reading lines with not much inflection. His voice seems very dull. Was The Art of Murder worth the listening time? Not very because of the narrator. I have heard books read by him before and had to force myself to listen because I paid for the book and was interested in the story, just like I will with this because I like the book. very engrossing story, a wonderful whodunit with likeable characters. An enchanting performance that grabs your interest from the start.